Technically, coffee never really “goes bad”, but if you want to get the most out of your fresh roasted coffee the best practice is to buy and store only the amount of coffee you will drink within 7 to 10 days. Your coffee will stay freshest if you transfer whole beans into an airtight container such as a mason jar. • Water quality will make or break your pot of coffee regardless of your brewing method. • Always use clean equipment (dirty equipment equals a dirty cup of coffee). • When possible, grind your own beans just before brewing. 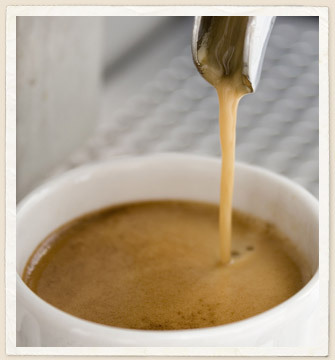 • Coffee likes its water to be between 195 F and 200 F (about 30 seconds off of heat after boiling). • While water is boiling, measure your whole bean coffee to a ratio of 2 tablespoons per 6 ounces of water. Most full-size presses are about 34 ounces. • Grind your coffee to a coarse grind. • Add water approx. 30 seconds off boil. • Stir coffee until grounds are submerged. • Wait 4 minutes and press coffee. The main reason automatic coffee brewers get a bad rap is simply because they can’t heat the water hot enough to fully extract the bean’s flavor. Most automatic drip brewers don’t heat above 185 F, and many struggle to get to 175 F. That said, you can still get a decent cup of coffee using a pot if this is what you’re comfortable with. • Measure your beans based on a ratio of 2 tablespoons per cup (6 ounces of water). • Grind your beans based on your filter type. For a flat-bottom filter use a medium grind, for a cone shaped filter use a fine grind. • Add desired water amount in reservoir and turn on. • Remember to regularly clean your brewer. Many of the flavor defects in automatic drip brewers are due to the fact that the brewer rarely gets a good cleaning.